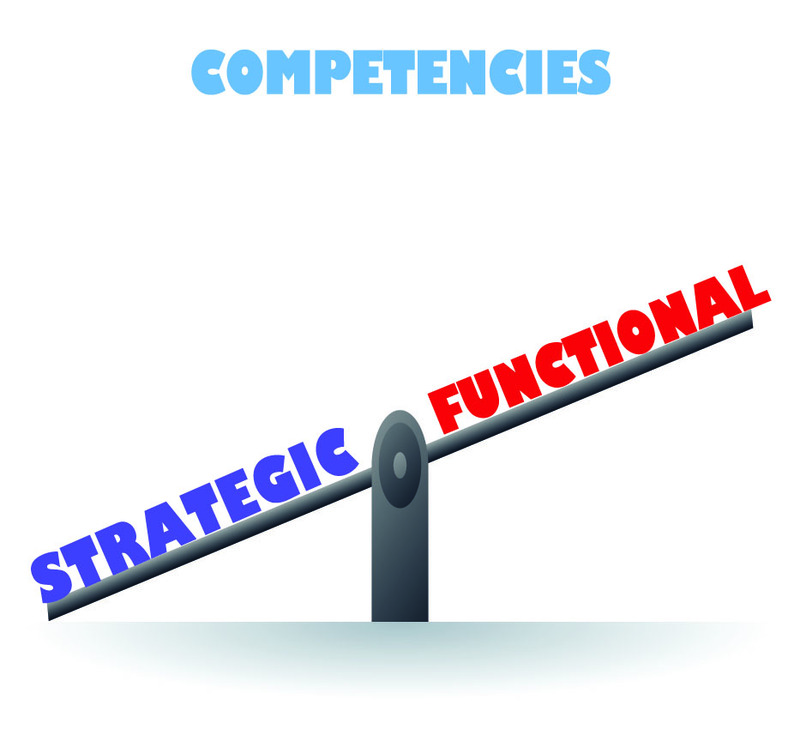 You are at:Home»Blog-News U can Use»Do You Know the Difference Between Strategic Sourcing and Category Management – Technology Success or Failure? 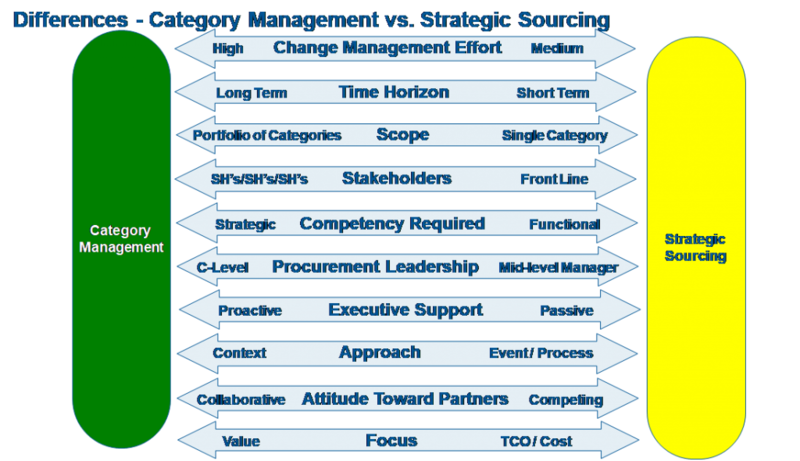 Do You Know the Difference Between Strategic Sourcing and Category Management – Technology Success or Failure? One of the first things we learn as Sourcing professionals is to have a clear understanding of the business requirements of your internal business partners. When it comes to technology, “business requirements” usually take the form of a set of features and functionality that are required. We work with our stakeholders to extract their input, write up an RFP, send it off to suppliers, negotiate the best deal and hand off the implementation to IT. Once the technology solution is in place (hopefully on time and budget) we all declare success and move on to the next project. BUT, did the technology fulfill the business objective we were seeking? Did we even ASK what that business objective was, OR did we merely get a list of “business requirements” and move through our standard 5,6,7 or 8 step process? I recently read an article in HBR “Why CRM Projects Fail and How to Make Them More Successful?” The article is specifically addressing Customer Relationship Management (“CRM”) systems and the high rate of failure (90%) where the primary objective should be to increase sales. One of my sons is an Account Executive (sales) and he despises the CRM system he is required to use. For him, it does the exact opposite because the administrative burden (most CRM systems are used to fulfill a reporting requirement) takes time away from interacting with prospects and clients which is how new sales are generated. The business objective of increasing sales / revenue somehow got lost and the technology is either not being used at all or not providing the Business Value it could. So, what does this have to do with Strategic Sourcing vs. Category Management. I would argue that as a business partner, it is our job to understand who our primary stakeholder is AND understand their business objective(s) or Value Drivers (the opportunity they are looking to pursue or the problem they are trying to solve). Having a clear understanding of your stakeholder’s Value Drivers will enable you to help them buy what they really need. In the CRM example, the technology itself could help fulfill Sales Value Drivers but it needs to be used in the right way and its limitations to increase sales needs to be fully understood. Some would say that IT and not Procurement should play that business partner role when it comes to buying technology, but I would argue that if your organization is doing Category Management, that is your role. I am not discounting the value of technology but like the CRM example, let’s be clear on what it can do to meet your business objective and what it can’t. A P2P system cannot do Category Management for you. It can streamline transactional work, help with spend visibility, increase internal controls, etc. BUT it can’t develop and nurture relationships with your internal business partners or your suppliers which is at the core of Category Management. Even if you buy the Strategic Sourcing / Category Management modules it still cannot do it for you ! How do you define success or failure of a technology implementation? Did the technology fulfill your business objective / Value Drivers? That is the true test! Let us know what you think and join in the conversation…. Previous ArticleOur New Monthly Executive Briefcase is here! Next Article Chinese Manufacturers are Shifting their Supply Chains – So What?